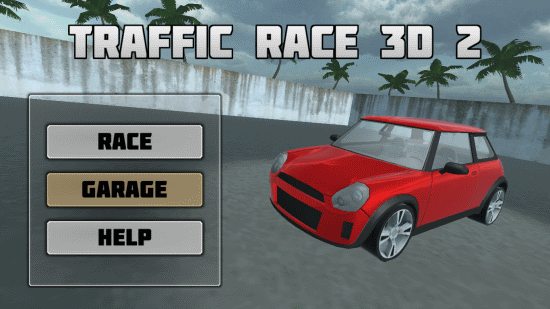 Traffic Race 3D 2 is a free Racing Game for Windows 8 and 8.1 computers. Published by Casual Games, this racing game follows real physics rules to give you ultimate driving experience. Make your way out of the traffic on 3 different tracks to finish as fast as you can. This racing game for Windows 8 can be found on Windows App Store. You simply have to search for it in the search box. 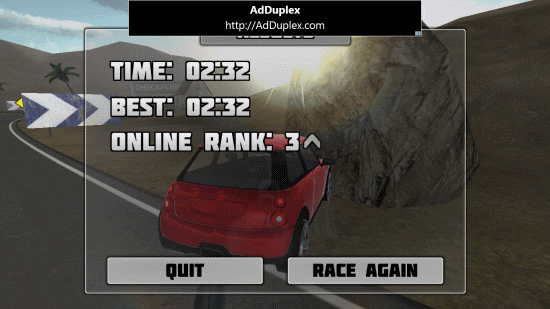 You can also click the download link mentioned below to download and install Traffic Race 3D 2. Click the Install button, and the game gets downloaded and installed automatically. With a size of 32.5 MB this free game for Windows 8 barely occupies space on your computer. As all the racing games, this racing game for Windows 8 has almost the same gameplay. You have to use the Navigation Keys to move, turn, and stop your car. Use the Space bar to apply power brakes. 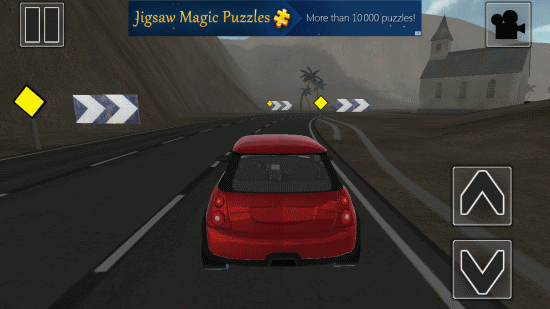 The car used in this game is a mini hatchback with responsive controls. The car is only available in Red color. Go to the Garage to take a 360° view of the Car. 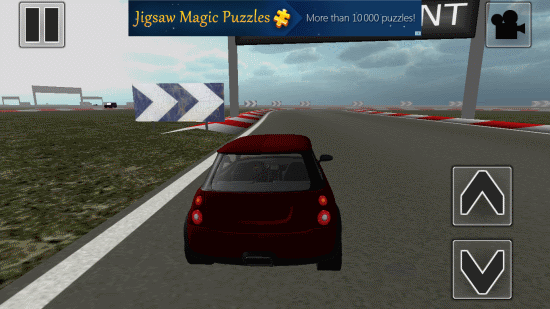 Click Race to view game options. Choose Traffic mode, or Time mode from the game mode. It lets you select the number of laps from 1, 3 and 5 laps. 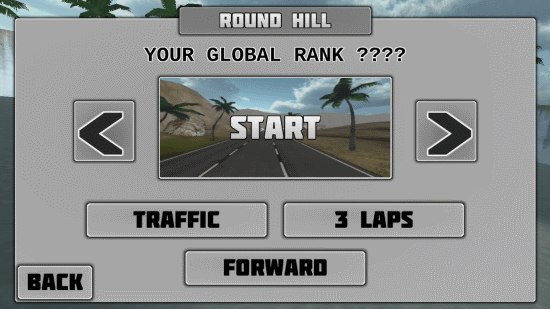 You can select and play this racing game for Windows 8 in forward or reverse track direction. After selecting the options, hit Start to begin playing. Speed up your car and try to finish the laps as soon as you can. While you drive, you have to take care of the traffic, and other obstacles. If you loose your control and hit obstacles, you will loose time. Turns in this racing game for Windows 8 are easy to maneuver. Use brakes and steering to drift and move out of the corners with maximum speed. The car driving experience changes according to the tracks. For F1 track the experience is precise, while for Dirt track, the experience changes. Download this game to try it yourself. Once you finish the laps, the game displays the race duration, along with your Best score. It also displays global ranking. Quit the game to select other tracks or modes, or hit Race Again to play again on the same track. This is one of the best racing games for Windows 8. Get real driving experience by playing this game. The graphics is very realistic, so is the sound effect. Go ahead, download this game, and compete with online players. 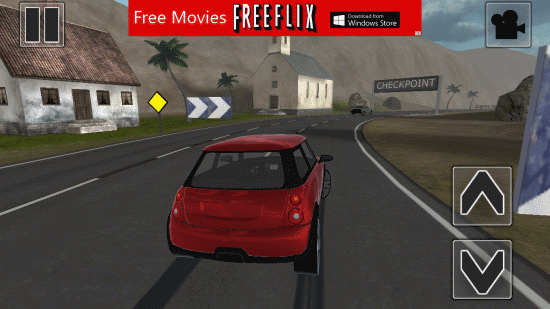 Download Traffic Race 3D 2 for Windows 8 and 8.1.